For some families, Planada begins immediately when your family leaves Canada. For many, it’s a long term goal of amassing the money, free time and gear required to give it a go. 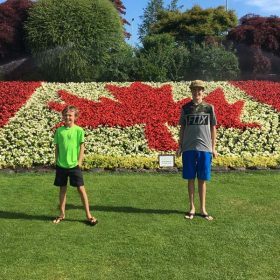 Here’s what our family has learned with traveling with the kids north of the border. We started a separate savings account at our bank called “Planada”. Whenever we can, we throw in what we can afford. We reside in the USA and the exchange rate for the Canadian dollar has been very favorable for us over our last couple of trips. 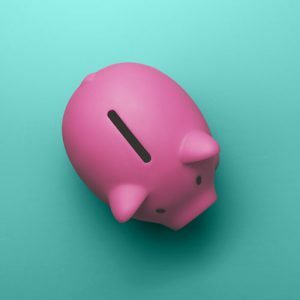 Do your research and try your best to take care of the more expensive items such as accommodations, bike park tickets and ferry tickets when the exchange rates are most favorable. If you play it right, you’ll end up with a few extra bucks. Our family is fortunate because my wife and I are far enough along in our careers that scheduling time off from work is not a huge issue. I’m a freelance graphic designer and that means that I get to take my work wherever I go. On one trip, I had a lot of work in progress. Getting up at 3:30 in the morning while on vacation and putting in 5 hours of billable time before my wife and kids got up for the day was difficult, but I think most people would make that choice if they could. If you want to wing it- right on. But when we have our time off scheduled, the next step is to decide where we’d like to go and how many nights we’d like to stay at each destination. When it’s feasible, we’ve even gone so far as to plan ahead for each day’s drive time vs. ride time. This is so we can realistically plan which trails we can ride on travel days so we don’t waste time sitting around. It’s always a good day for a pedal and hopping on the bikes after a long drive feels great. Just like your bike(s), choose the right vehicle for the job. 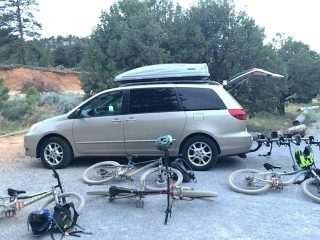 Until just a couple of months ago, our family car was a AWD beige mini-van. We threw on a trailer hitch and a 4-bike tray rack. The back seats folded down and we learned to pack this thing to capacity. Be prepared for maintenance issues along the way. In 2016, the radiator died on Vancouver Island and that really sucked. We had to rent a truck while our car was taken apart at a repair shop in order to maximize the time on the trails. We also learned that our AAA membership was valid for our Canadian excursions. We try to stay in condos or homes with a full kitchen and washer/dryer as much as possible. To save money, it’s important to book as early as you can. We have had to pay as much as over 20% more for accommodations when we book late. 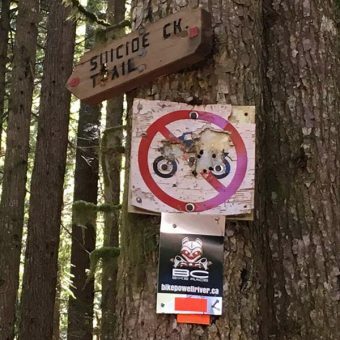 We’ve learned that it’s best to best to book summer Whistler mountain biking trips in January. VRBO is our go-to online resource for most of our accommodations. You can even find condo owners who offer free nights or discounted accommodations if you book for more than 5 consecutive days. Kitchen accoutrements are hit, miss, and everything in-between. If you need to bring your favorite slotted spoon or tea kettle, do it. We have never camped in Canada – yet. Hopefully next summer we can give it a go. Hint: Fernie is on the wish list. And yeah – we always look for the free breakfast perk when we stay at hotels. Make sure your family’s bikes and equipment is in safe, working order. Nothing is more disappointing than arriving at your destination, ready-to-ride and finding out your brake pads need to be replaced, a dropper needs to be bled, or suspension needs maintenance. Nothing can prevent a determined evil-doer/bike thief, but we do our best to keep the bikes locked up while they’re on the car. Our arsenal includes: a 10-foot cable lock, 4-foot heavy chain lock, and a u-lock. Some of the additional items we have learned to pack with us include: a floor pump, extra bite valves for the hydration packs, extra chain, extra derailleur, extra brake pads, spare tubes, brake bleed kit, and a bleed kit for dropper posts. Somehow, we’ve even ended up with an extra dropper for 30.9 diameter posts and and a shim so it will fit a 31.6 seat tube. Be sure to bring all your prescription meds and even some things you think you may need – just in case. 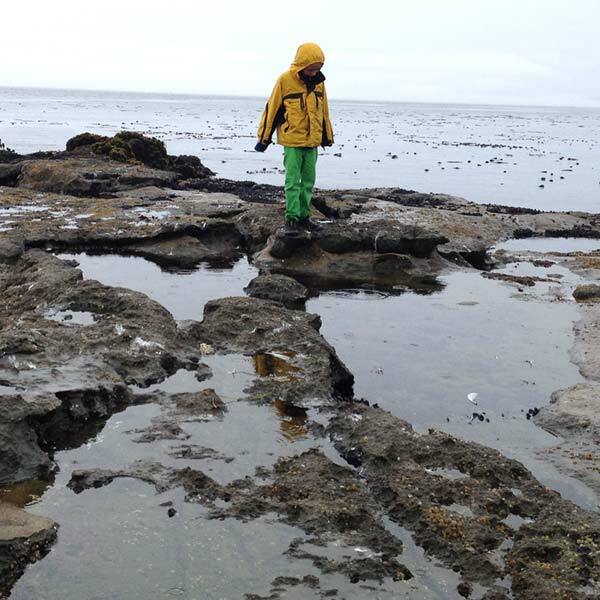 In 2013 our youngest got dual ear infections while we were on Vancouver Island. 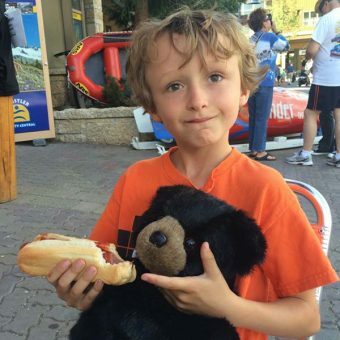 He was only 6 at the time and we arrived at Victoria BC in around 11am. We did a little sight-seeing during the early afternoon but as the day wore on, he told us one of his ears started to feel weird. We didn’t think this was a big deal until he told us both his ears were hurting. My wife gave him some Childrens’ Tylenol in the early evening and that did not help. The poor kid was complaining of a headache and acting lethargic at dinner. He was in pretty rough shape around 9 at night and my wife decided it was time to get him to a clinic. To summarize, we paid about $40 for the anti-biotics he needed, but the doctor visit was $800. 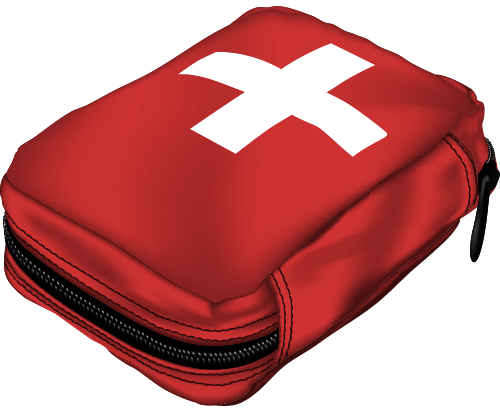 Our first aid kit is basic, but we have learned to include duct tape, extra large bandages, gauze, moleskin and first aid tape. My wife is even a CPR instructor and trained in basic first aid. Sometimes, when we have just one night in a town or city where we are staying at a hotel, and we’ll be traveling early the next day – we just have one bag of clothes for the entire family. With a mini-van loaded to the brim with gear for 4 people, why unload 4 bags from the car for just a night at a hotel? We will pack a single suitcase for this scenario. For each of our main suitcases, we use the 60L Patagonia Black Hole Duffel Bags. Each family member has her/his unique color so we can identify each bag’s owner. On some trips we need to bring more than one bike per family member and our bike rack only holds four bikes. This means some bikes get packed in the car. When storing bikes in the car we gain a lot of space by removing the pedals from bikes and removing the front wheel. The pedals are zip-tied to the frame so they don’t get separated or misplaced. After the front wheel with a hydraulic brake is off, we are careful to put in a brake pad spreader/bleed blocker. This is so an accidental bump or squeeze of the brake lever doesn’t compress the pistons without a rotor – which could require a brake bleed. Clear storage containers are used so we can quickly see the contents of a storage bin. Always be sure to bring packable rain jackets for bike rides- and umbrellas for village strolls. It can take 4-6 weeks to receive your passport. A $60 fee can be paid for expedited 2-3 week processing. If you show up at an When we had to get new passports for our kids, we went to our county clerk office. All 4 of us were required to be present for the formal application submission. We make copies of our passports while we travel, too. The copies are stored in a different location than the originals somewhere in our bags or in the car. We leave copies at home, too. This is just-in-case they get lost or stolen. If you need to get passports for your Americano family, start here. We normally enter Canada at the Peace Arch Border Crossing between Blaine, Washington and Surrey, BC. As you would expect – Friday through Sunday and holidays can be very crowded. We have had to wait in the queue for up to over an hour due to summer traffic. When traveling very early, late or on a weekday, the wait has been less than 5 minutes. If you’re in a long line, your family can take turns getting out of the car to stretch stiff legs or use a restroom. When at the booth, the CSBA (Canadian Border Services Agency) Officer will ask you the purpose of your trip, where you are going and how long you will be in the country. A couple of times we have been asked to roll down the windows in the car so our childrens’ identities can be visually confirmed. 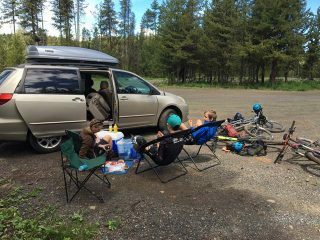 Planning meals for the family during our mountain biking road trips is one of dad’s favorite parts of preparing! Last summer, we even brought our rice steamer (filled with uncooked rice and a bottle of soy sauce) so we could have fried rice one week and stir fry the next week. If you’re a family of omnivores, frozen meats (including bacon and bratwursts) will last for a few days if you start with them frozen in the cooler. Other food and cooking items we have brought from home over the years include: canned black beans, uncooked tortillas, cooking spray and olive oil, eggs. Avocados (let them get soft during the trip). Pancake mix. Frozen tamales. Pasta and canned sauces. Lemons. Salsa. Nuts for snacks and salads. Peanut butter and/or Soy nut butter. 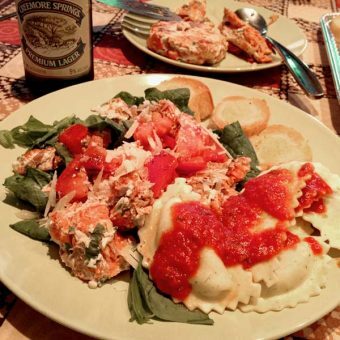 Take advantage of the local fare. 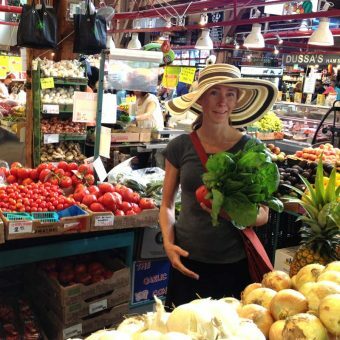 On the Blackcomb side of Whistler last summer there was a farmer’s market. Was it a little more expensive than the IGA market? Yes. But it was well worth it. Farm fresh veggies, baked goods and craft prepared foods (packaged, bottled) were available. 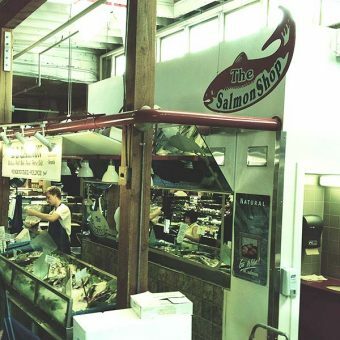 If you’re in the Vancouver area for your stay, a trip to Granville Island Public Market is a must. 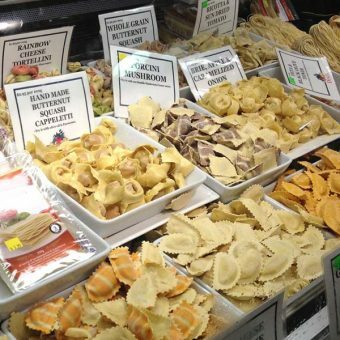 It’s a indoor market featuring everything you need to make a five-star meal at your home away from home. If you’re a foodie, you’ll be in heaven. If you’re just hungry looking for a bite to eat, you’ll be in heaven. For lunches, we will often bring along sandwiches if we are eating along the trail. If we are riding in an area where the car will be accessible throughout the day, we will pack camping chairs and a cooler. Last, time your trip right and you will be in Canada when blackberries are ripe. They grow like weeds all over the place. We’ve had our share of fresh blackberries at trailheads, on the side of gas stations, even at a ride zone next to a landfill. Books on CD or a music player are how we maintain our sanity in the car on our mountain biking road trips with kids. We are starting to get into podcasts, too. If you are traveling with kids as young as 4 years old, you are in the sweet spot. Roald Dahl, Carl Hiassen, J.K. Rowling, and Eoin Colfer are some of our kids’ favorite authors. Some of the voice actors are quite good as well. Here are some of our audiobook picks to get you started. There’s an added bonus when everyone is listening to the same story – you get to talk about it with your kids. Often times, one of our kids will pipe up saying he knows what’s going to happen; why something’s happened; or just ask a question. Your kids aren’t going to be trapped in car with you for eternity. Make the most of it by having a discussion about what’s going on in the story. We always have enough audiobooks to get us through a trip. Your local library is a great resource for these invaluable items. 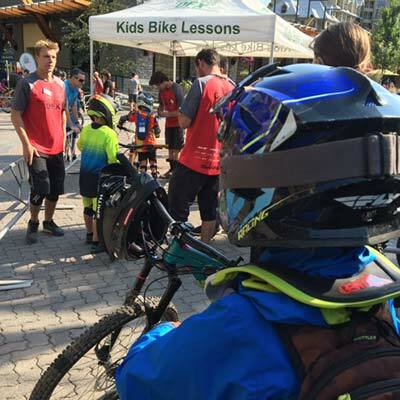 At the Whistler Bike Park, kids aged 5-12 or 13-16 can be enrolled in daily lessons. Deals are available when your kids are in lessons for more than 2 days. Lunch is included, too. Over the last couple of years while the kids have been in bike park lessons, mom and dad have explored the Whistler Valley Trails and nearby Pemberton on the trail bikes. 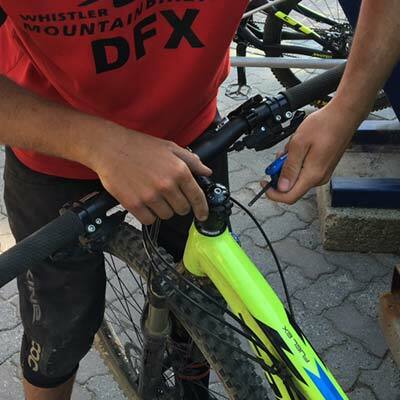 Whistler Bike Park coaches and instructors are trained professionals who know how to make sure your kids have a good time. Your kid will be placed in the proper group based on your child’s riding ability. They’ll ask you if you have been in the bike park before and what trails you’ve been riding. Instructors are allowed to move kids from one group to another if they are either ready for the next level or need to dial it down a bit. 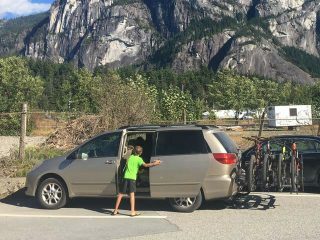 If your kid has her/his own bike for a bike park lesson, the instructors will give it the once over to ensure that it’s safe to ride. They examine the brakes, suspension, steering and drivetrain. They also make sure kids have the proper protection gear and hydration pack. Younger children receive a GPS tracking device called a Flaik. 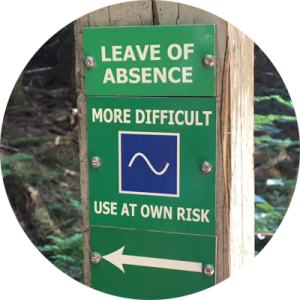 These things are cool because (A) it helps prevent lost kids and (B) you can see the data associated with your kid’s session in the park during their lesson via a web application. 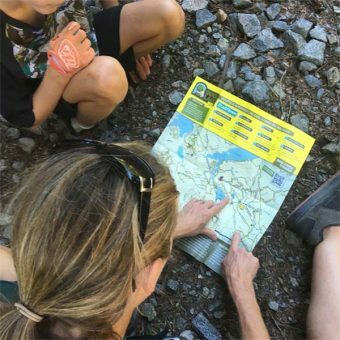 When your kid is done with her/his lesson for the day, they may receive a report card that states what trails were ridden; what skills were done well and what needs improvement in order to move to the next level. Instructors are keen to chat it up with parents to give you the inside scoop on how the day went. A lot of the time, kids booked for consecutive daily lessons can get the same instructor. This helps because it gives the instructor the opportunity to have a little history with your kid and improve their riding. Two years ago, our oldest had the same instructor for 3 days in a row. At the end of the session, the instructor told our kid that he progressed quite a bit over the couple of days and they had accomplished all the goals set on the first day. Last, it’s not out of the ordinary for parents to offer a cash gratuity to their kid’s instructors following a lesson. 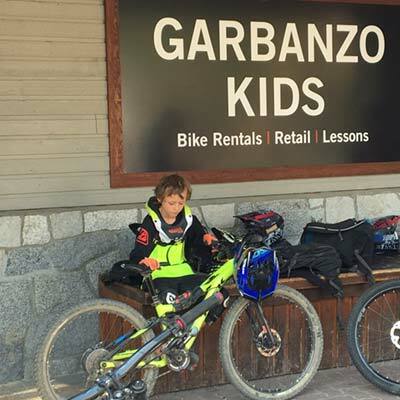 For the ultimate kids’ experience in the Whistler Bike Park, consider the Summer Gravity Camps run by Andrew Shandro. Pros from around the world teach kids the finer points of mountain biking over the course of a full week. 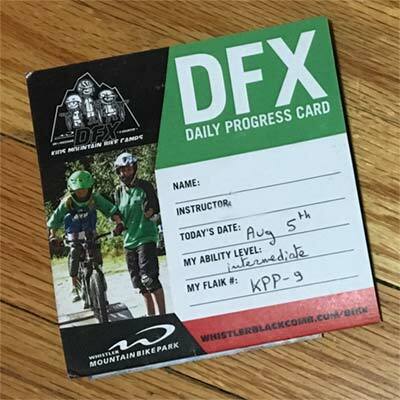 If you’d like to learn more about the Whistler Bike Park’s daily lessons, click here. 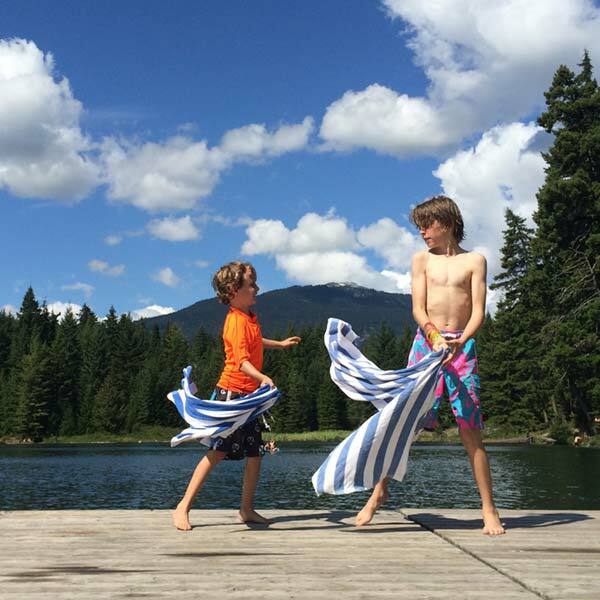 You can also read about our son’s experience with Whistler’s Summer Gravity Camp. Online apps are fine, but after years of extensive research, we have found that actually communicating without a smartphone – with a real human being, face-to-face is the best! 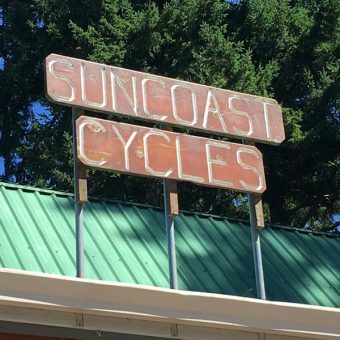 Be a good traveler and visit your temporary local bike shop during your trip. 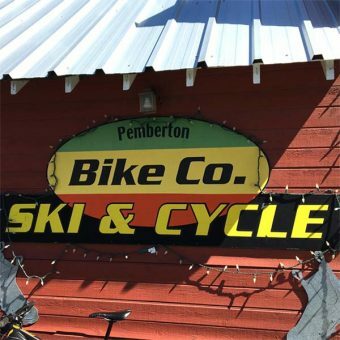 We have made a point to swing by local bike shops in unfamiliar places so we can speak with the locals about the best places to mountain bike with our kids. Everyone, and I mean everyone we have spoken to in a bike shop on a trip has been knowledgable and more than willing to give their opinion about what would be the best ride for us. Tell the bike shop staff how long you’d like to ride, what type of riding you’d like to do, and what level of riding you’d like to do. These wonderful folks will also have up-to-date trail conditions. This is super useful if a recent storm has passed through or a trail is closed for maintenance. While you’re there- pay it forward if you can. Buy a t-shirt with the bike shop logo on it, or a printed map that supports the local trail organization. At the very least, ask to buy a couple of shop stickers for your kids. Plan ahead and reserve your ferry rides in advance. We lost half a day of bike riding once because we were unaware we were traveling on BC DAY. Due to additional holiday traffic and a ship in need of repair, we sat in a long queue of cars trying to get from Sechelt to Powell River. To reserve ahead of time, you can call BC Ferries at 888-223-3779 or reserve online at BC Ferries. 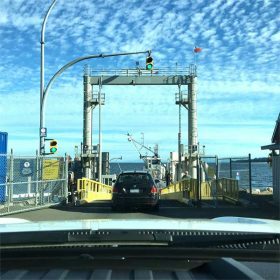 Are you going to be taking several ferry rides during your trip? If so, you should consider a BC Ferries Experience Card for discounted fares. You prepay for your Experience Card like a gift card and use your balance as you travel. When you plan all your ferry rides correctly, you will save a measurable amount of money. 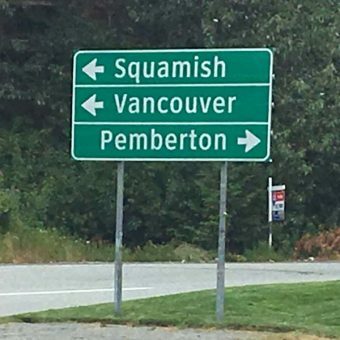 Not all routes are discounted. 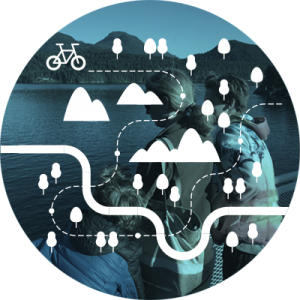 Learn more about the BC Ferries Experience Card. If you’re used to seeing bears, that’s pretty cool. If not, be prepared. 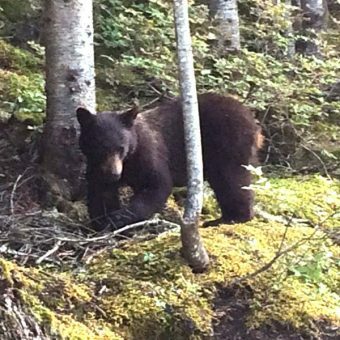 There are bears all over the place and they can be close to residential areas. During one Whistler trip, our family was walking along a paved bike path that backed against a condo complex. And, just like another pedestrian using the trail – a black bear approached from the opposite direction. We were sure keen to get out of its way without causing a ruckus. It strolled right by us and some people enjoying their hot tub. 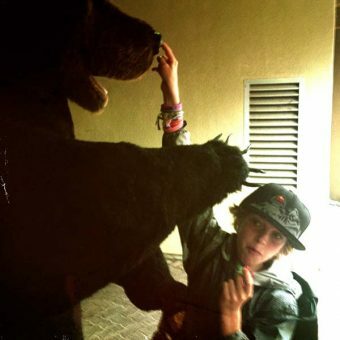 I told them, “If that bear was hungry, you would have been soup”. We wear bear bells on our bikes at home sometimes to gently announce our presence to other bikers and hikers. In Canada, those accessories can serve the purpose they were intended for. If you are considering taking bear spray with you on your trip, please read the latest information from the Canada Border Services Agency website. For a lot of families, not riding on a vacation day may be sacrilege. But, if the kids are tuckered out or you plan on taking a rest day, there’s always plenty to do. Check out your host town’s tourism website. 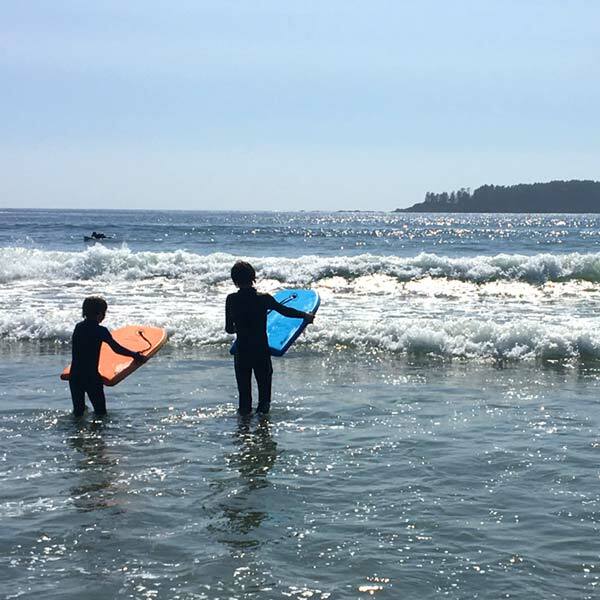 If you’re on Vancouver Island, consider a vacation from your vacation and take a trip to Tofino. There is hiking and surfing. 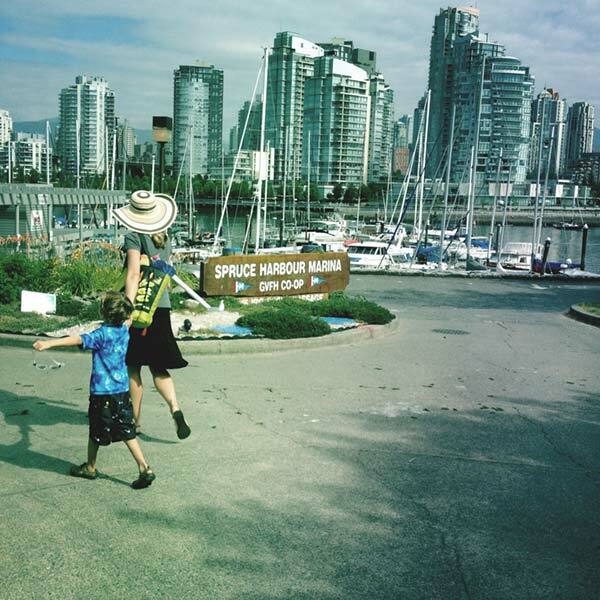 Vancouver has Stanley Park and Granville Island to explore.